After what we have seen this November, how is any American ever supposed to trust the integrity of our elections ever again? There were over 70,000 reports of voting problems on election day, and there are numerous eyewitnesses that claim that they saw voting machines change votes for one candidate to another candidate right in front of their eyes. In several of the swing states there were counties where the number of registered voters exceeded the total voting age population by a very wide margin. How in the world does that happen? Some of the vote totals that were reported in some of the most important swing states were completely and totally absurd, and yet we are just supposed to accept them on blind faith without ever being able to ask any questions. Of course the Romney campaign has already totally given up, so it isn’t as if there is any chance that the results of the presidential election could be overturned anyhow. But if massive election fraud did take place and nobody is held accountable, what kind of message will that send for the future? Will we ever be able to have faith in the integrity of our elections ever again? #1 According to the Election Protection Coalition, voters across the United States reported more than 70,000 voting problems by 5 PM Eastern time on election day. #2 There were 59 voting divisions in the city of Philadelphia where Mitt Romney did not receive a single vote. 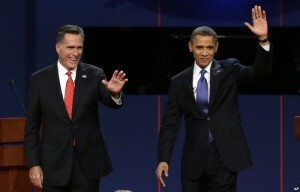 In those voting divisions, the combined vote total was 19,605 for Barack Obama and 0 for Mitt Romney. #3 The overall voter turnout rate in Philadelphia was only about 60 percent. But in the areas of Philadelphia where Republican poll watchers were illegally removed, the voter turnout rate was over 90% and Obama received over 99% of the vote. Officials in Philadelphia have already ruled out an investigation. #5 Somehow Mitt Romney won 55 out of the 67 counties in the state of Pennsylvania and still managed to lose the entire state by a wide margin because of the absurd vote totals that Obama ran up in the urban areas. #6 Barack Obama received more than 98 percent of the vote in 10 out of the 50 wards in the city of Chicago. #7 Prior to the election, voters in the states of Nevada, North Carolina, Texas and Ohio all reported that voting machines were switching their votes for Romney over to Obama. #8 There were more than 50 precincts in Cuyahoga County, Ohio where Mitt Romney received 2 votes or less. #9 There were more than 100 precincts in Cuyahoga County, Ohio where Barack Obama received more than 99 times the votes that Mitt Romney did. #10 Barack Obama also received more than 99% of the vote in a number of very important precincts down in Broward County, Florida. #11 Wood County, Ohio (which Obama won) has a voting age population of 98,213, but somehow 106,258 voters were registered to vote on election day. #12 Ten counties in the swing state of Colorado have a voter registration rate of more than 100%. #13 Barack Obama did not win in a single state that absolutely requires a photo I.D. in order to vote. #14 In Ohio, two election judges were caught allowing unregistered voters to cast ballots. #15 Many Ohio voters that showed up at the polls on election day were surprised when they were informed that they had already voted. The Democrats stationed a self described “BIG Chicago pro bono attorney” as one of their two observers at this small polling place. He remained at the polling place from 7:00 a.m. until well after 8:p.m. …..A high priced CHICAGO attorney, sitting in a Sheboygan WISCONSIN polling place, observing wards comprised of 1500 voters? …. WHY??? Why would someone from Chicago be observing in Sheboygan Wisconsin? And WHY at such a small polling place? Finally, isn’t it interesting that this would occur at the VERY polling place in which all of the above described events ALSO occurred? AGAIN WHY WOULD A CHICAGO ATTORNEY BE OBSERVING AN ELECTION POLLING PLACE WITH FEWER THAN 1500 VOTERS IN IT, IN SHEBOYGAN WISCONSIN? Of all the places where there has been suspected voting irregularities, and OUTRIGHT FRAUD throughout the ENTIRE United States, WHY HERE? WHY SHEBOYGAN? WHY THIS SMALL WARD? This lawyer spent the day running in and out making, and taking calls, which coincidentally then coincided with influxes of groups of individuals by the van and bus loads, coming in to register, AND VOTE, using what appeared to be copied Allient energy bills. These individuals often did not have photo I.D.’s, could not remember their own addresses without looking at the paper, and became easily tripped, confused and annoyed when questioned. Many of these same individuals, just so happened to be dressed in/wearing CHICAGO BEARS apparel, and whom openly discussed “catching busses back to Chicago” with each other, with poll workers, via their cell phones in the lobby area just outside the polling place, as well as in the parking lot, both before and AFTER registering and voting. One woman was dressed head to toe in CHICAGO BEARS apparel including perfectly manicured BEARS fake fingernails! She complained because registering was taking too long and she had to hurry up to catch her bus back to Chicago. We have photos of these people in vehicles with plates from different states, photos of them leaving the polls, and other irregularities. #19 Prior to election day, an Obama for America staffer was caught on video trying to help someone register to vote in more than one state. #20 It is being alleged that unions in Nevada have been registering illegal immigrants and pressuring them to vote. Aiding Obama’s win was a devious suppression of the conservative vote. The conservative-leaning military vote has decreased drastically since 2010 due to the so-called Military Voter Protection Act that was enacted into law the year before. It has made it so difficult for overseas military personnel to obtain absentee ballots that in Virginia and Ohio there has been a 70% decrease in requests for ballots since 2008. In Virginia, almost 30,000 fewer overseas military voters requested ballots than in 2008. In Ohio, more than 20,000 fewer overseas military voters requested ballots. This is significant considering Obama won in both states by a little over 100,000 votes. #22 According to the Naval Enlisted Reserve Association, it appears that thousands of military votes from this election will never be counted at all. Do you still believe that elections in America are fair and honest?